Mankato is home to over 30,000 residents and is nicknamed “Key City”. There are many effective advertising opportunities throughout the city including near the many universities that call Mankato home. Minnesota State University, Mankato, South Central College and Bethany Lutheran College are all prime locations for out-of-home advertisements. Target your audience during one of the many annual festivals like the Annual Ribfest. Attractions such as the Verizon Wireless Center and the River Hills Mall are also perfect locations where you can utilize digital signage or mall advertising. 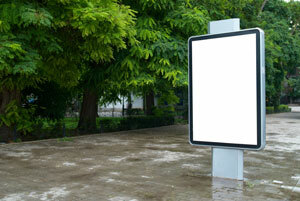 Billboards on US 14 or US 169 would also generate high traffic exposure of your business.